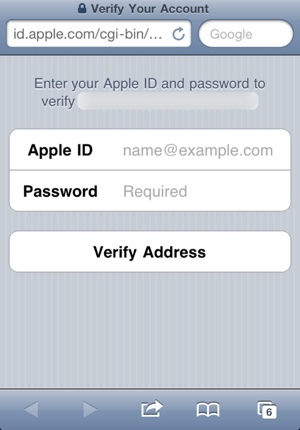 Create Apple ID Without Credit Card: Today we’re here with the method for How To Create Apple ID Without Credit Card. As we know apple (iOS) is very a lot popular in all over the world and more than billion of people are using apple devices today. Now these smart device most popular in mobile world and in all iOS device you need a Apple id to access your iPhone in your city. By the major issue with a normal person to create this apple id is credit card that’s you can’t normally create this id without entering the credit card details in the ios account sign up. But in this article I’ll tell you the simple and easiest trick by which you can easily create your Apple Id without entering any credit card details in it. Step 1. First of all make sure that you haven’t logged in your account. Step 2. Now open your app store and tap any of the free apps available there, you can choose any app from there. Step 3. Now then you click on the free button there, that button will get change into install and when you click on it your downloading process will initiates and then there will be two option there one is sign in and other “Create New Apple Id“, just tap on it to make a new iOS id. Step 4. Now select your country or region and then click on next button there. Step 5. Now double click on the agree button to agree then and also you can firstly read all the agreement if you have extra 7 hours. Step 6. Now enter the required info there to create your new account and this will includes name, email address, date of birth, password and a few security questions. Step 7. And after this tap on “Next” when you’re done. And which one email id you use an email address that is not currently registered or was not previously used as an Apple ID. Step 8. Now at last set your payment method to none and then enter your address details there. Step 9. That’s it you had successfully created your apple id without any credit card details. So above is all about How To Create Apple ID Without Credit Card. Learn these steps you will be able to make an apple id with none need of credit card which is issued for limited people and now you can entry all the feature of your iPhone with this apple id.